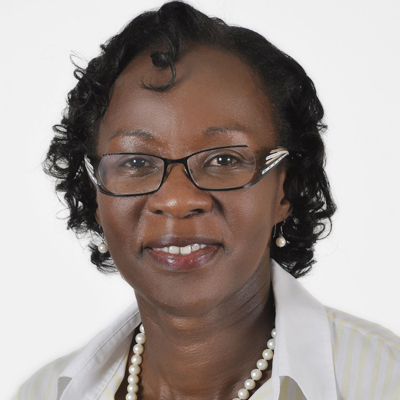 Dr. Catherine Nyaki Adeya-Weya is an Information Scientist with knowledge and skills in information development issues. These include social, political and economic potential and impacts of Information and Communication Technologies (ICTs) particularly in Africa. Dr. Adeya-Weya has over 20 years experience in ICTs research having worked for agencies like the United Nations University/Institute for New Technologies (UNU-INTECH) in the Netherlands. She has, for example, expertise in designing and managing large surveys. To this end, she has been a Team Leader in a number of research projects. Catherine has consulted widely with international organizations, governments, and universities/research institutions. Catherine has published widely in the field of ICTs for Development. She served as the Director for Business Process Outsourcing/Information Technology Enabled Services (BPO/ITES) at the Ministry of Information and Communications in Kenya from 2012-2013. Her job involved providing strategic leadership for the development of key flagship ICT projects in the Ministry which included Konza Techno City and the National Broadband Strategy. She was the Acting Chief Executive Officer of the Konza Technopolis Development Authority (KOTDA), the agency responsible to spearhead the development of Konza Techno City; the first mixed use technology city in Kenya and arguably in the region. Currently, she is an Independent Consultant. Dr Adeya-Weya was the Chief Judge in the first Vision 2030 ICT Innovation Awards in Kenya. She has served as a Judge for the Innovation Prize for Africa. She has been a Board member in the Kenya ICT Board, Mobile for Good and Computers for Schools Kenya. Catherine is a non-Executive Director at the Standard Chartered Bank Board and the East African Educational Publishers. She serves on the Editorial Board for Journal of Perspectives on Global Development & Technology.